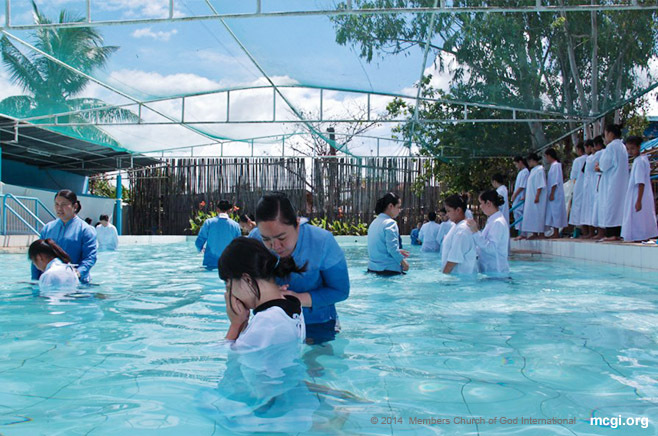 Read short testimonials of faith from some of MCGI’s youngest brethren baptized on October 23, 2015 at the Ang Dating Daan Convention Center in Apalit, Pampanga. Everything that Bro. Eli says has basis, and that’s what got instilled in me so I was encouraged to join. I always watched UNTV Channel 37 on television, and on my phone as well. I have been listening to The Old Path program for so long a time already. I think since I was just 17 years old. I think it was since 1997, in Lubao. Bro. Eli was still here. I felt light. At first I was controlling my tears, but later on they just flowed. I felt light when I was already in the baptistery. Actually, I have arthritis and have high levels of uric acid. Now, it’s gone. I feel light. My message for Bro. Eli and Bro. Daniel is that may the One above lengthen their lives that they may be able to help many more people who are lost as I once was. Ever since we [she and her siblings] were in the KNC [Kawan ng Corder of Flock of Lambs], we were always brought here. If a person really wants to be saved, it’s easy to be saved if they will really believe, have faith. It feels light inside to have been forgiven of the sins I’ve done. I’m thankful because they do not stop in helping those who do not know the teachings of God to understand the teachings. I was from the KNC [Kawan ng Cordero of Flock of Lambs] before. Also, I want to be forgiven of my sins. The doctrines truly help people to realize that we need to repent of the sins we have done. At first I was nervous in accepting the doctrines. 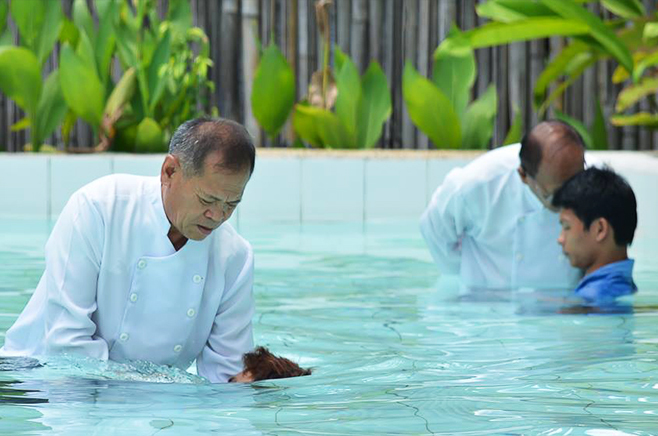 But when I heard that all kinds of hearts have hope in being changed in baptism [to be able to serve the Lord] I felt relieved. It feels light and it’s such a wonderful feeling inside. I hope they will continue leading us, especially those who do not yet know the doctrines. Also, thanks be to God.